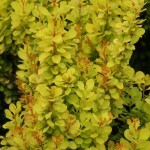 A columnar shrub with bright yellow foliage that doesn't burn in full sun. The new growth is chartreuse. It has coral colored stems. It is a tighter column than Sunjoy Gold Pillar. 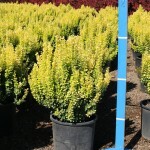 This makes a great accent plant in the garden. 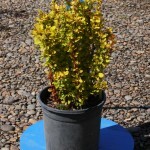 It will perform well in most soils, preferring one that is well-drained. PP 18,626.